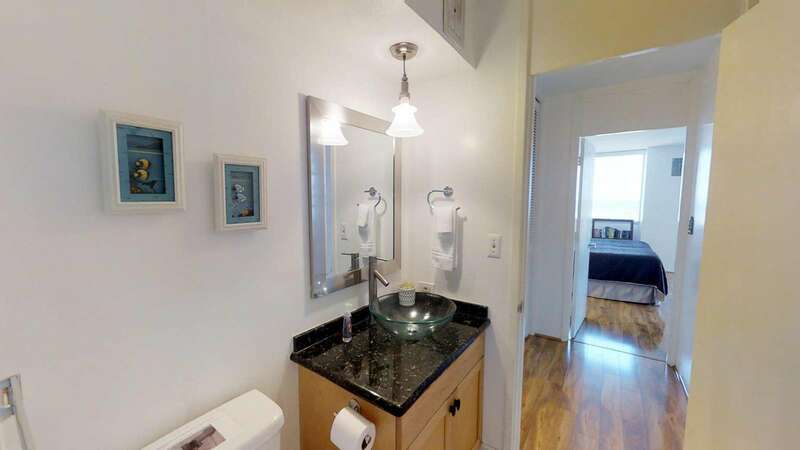 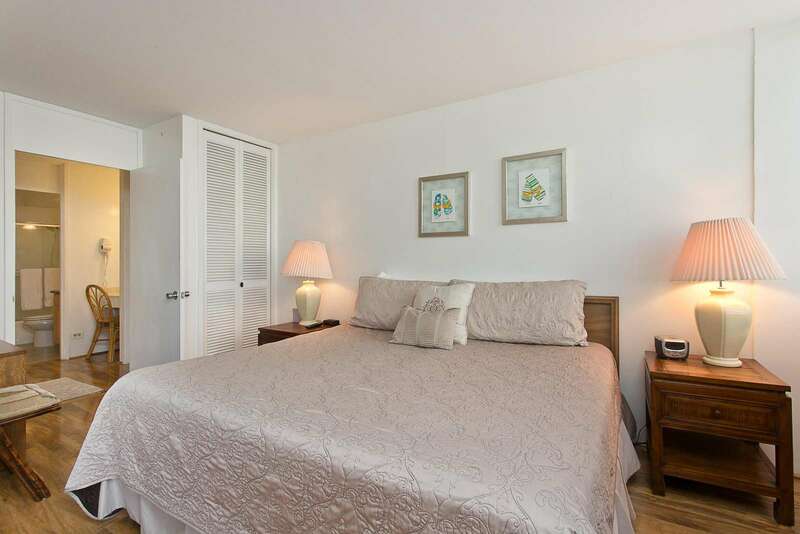 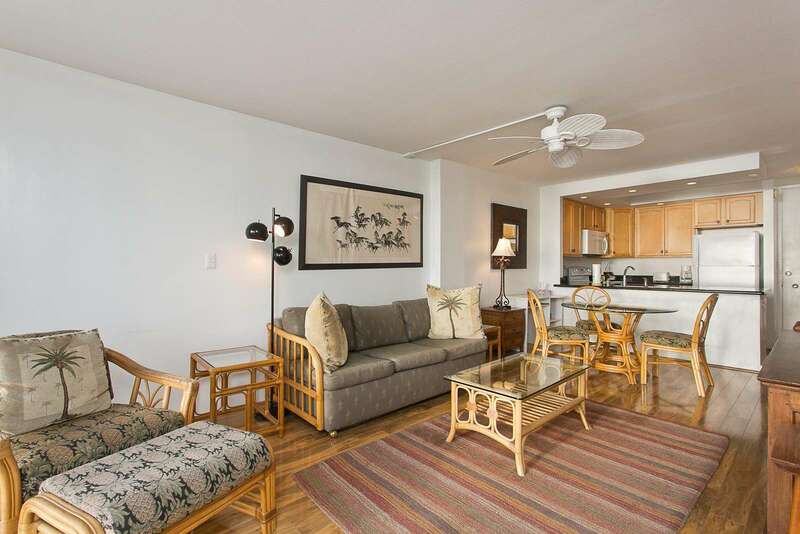 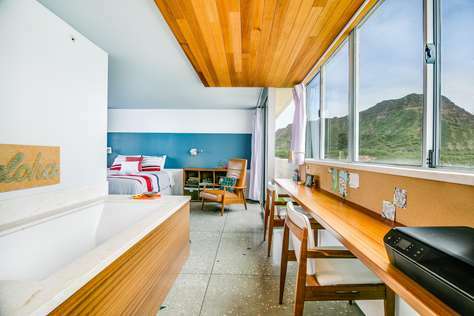 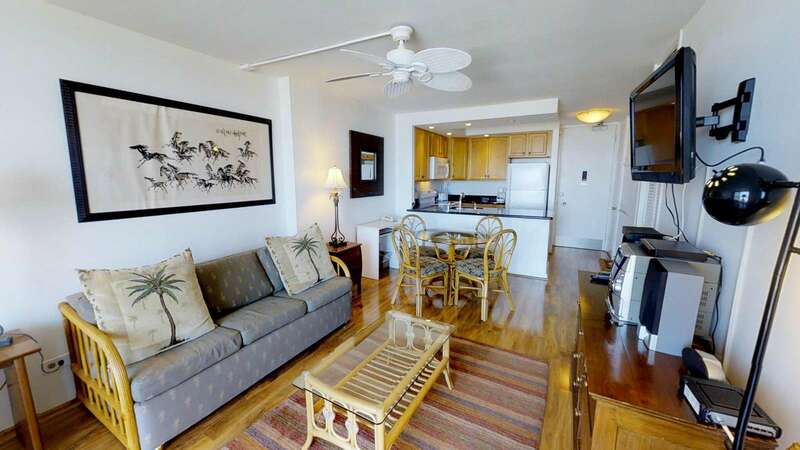 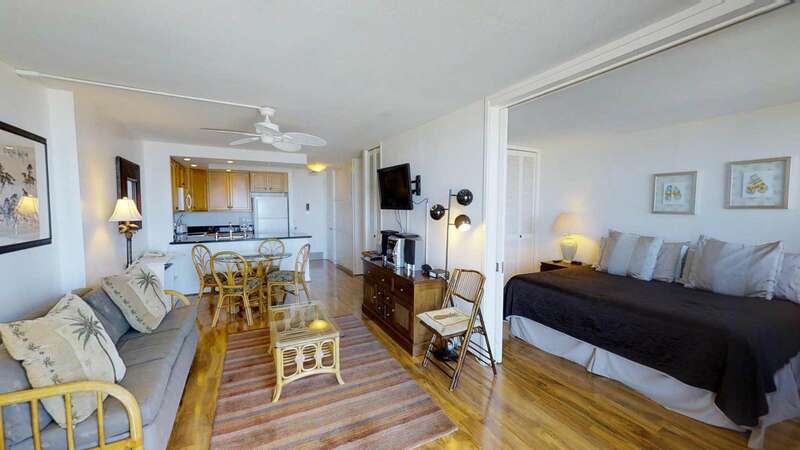 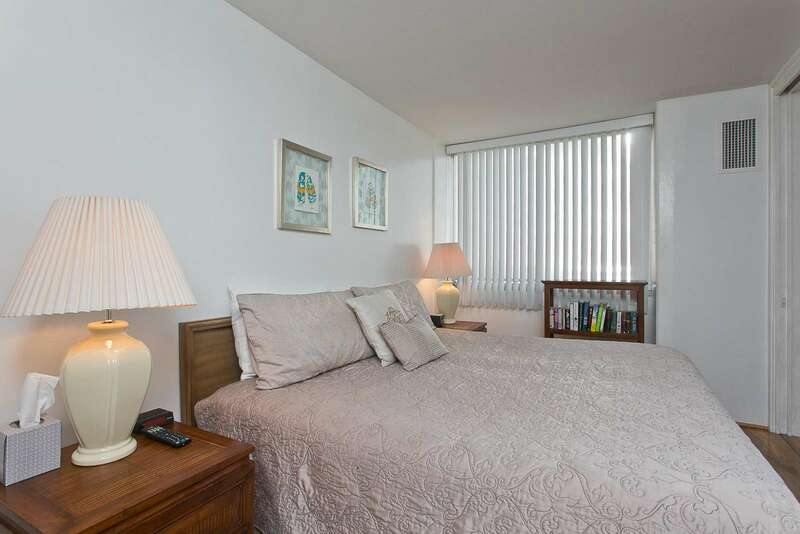 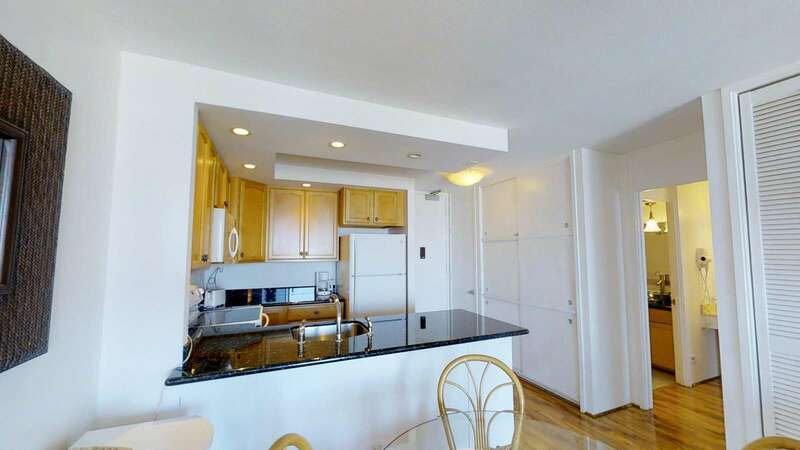 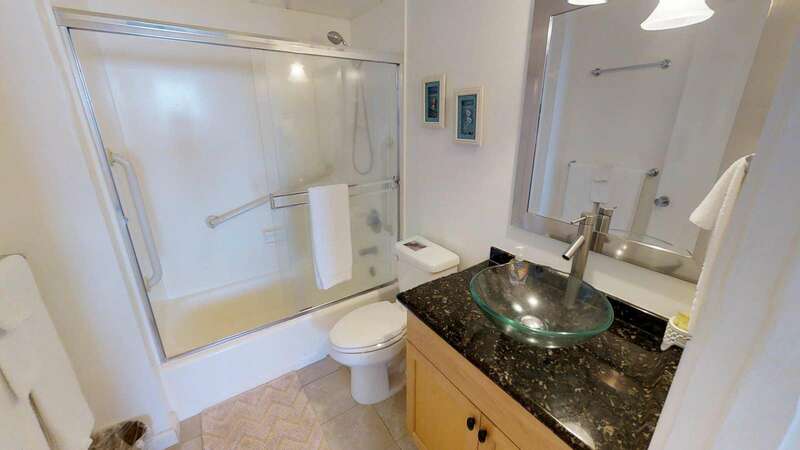 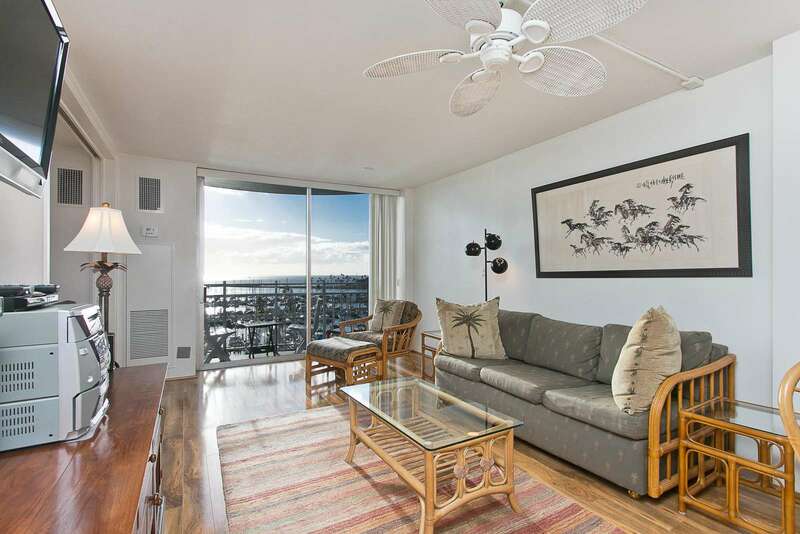 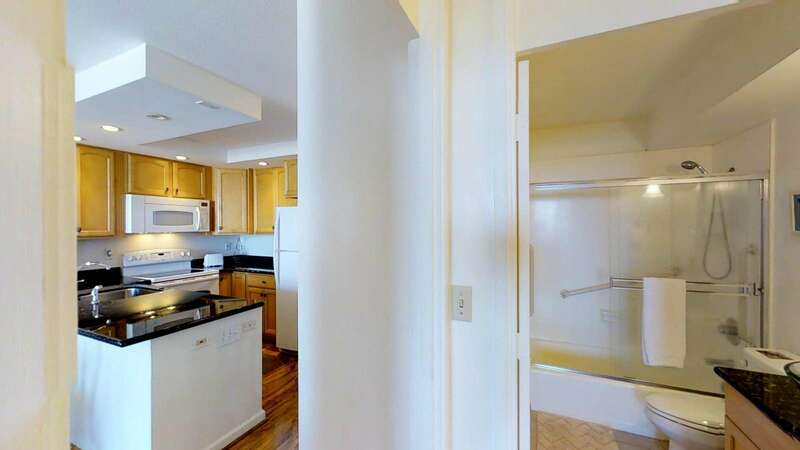 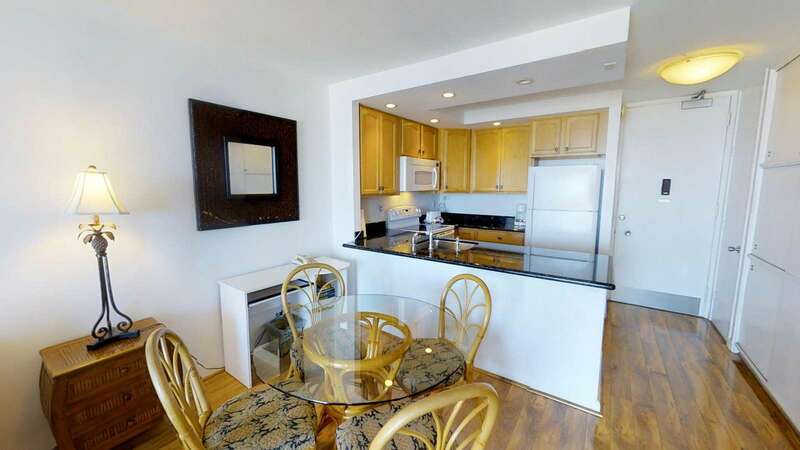 This large well-appointed newly renovated 1 bedroom condo, located on the 8th floor, has everything you need for a memorable Hawaiian holiday. 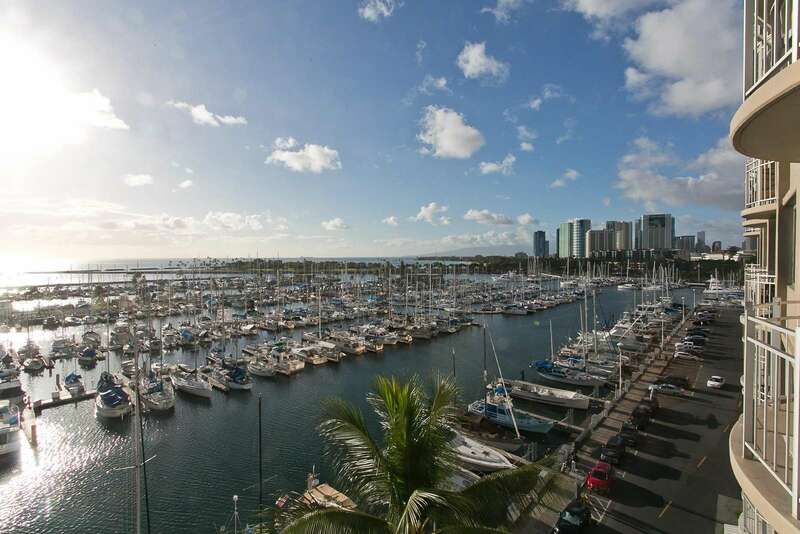 Enjoy gorgeous views of the yacht harbor, Magic Island and spectacular Pacific Ocean. 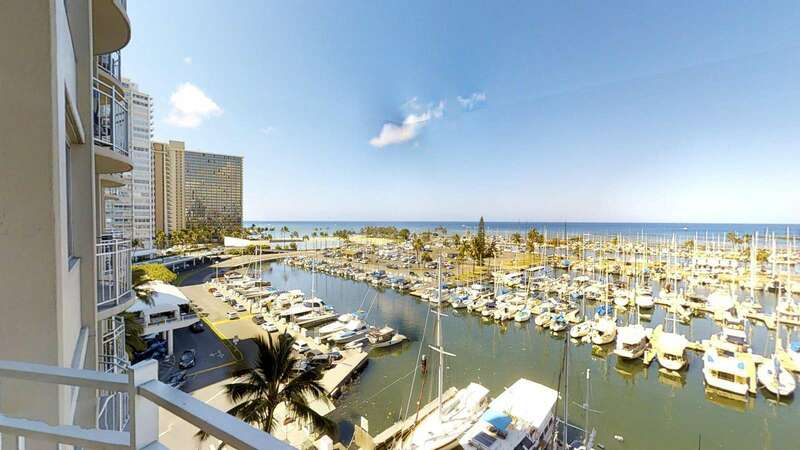 Ideally located right on the Marina front it's hard to beat these amazing vistas. 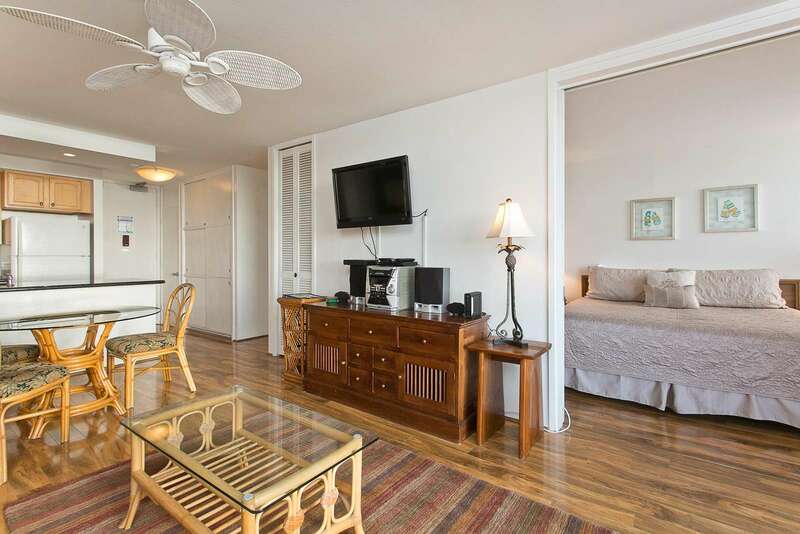 Witness breathtaking sunsets nightly from the private balcony and prepare custom island meals in the full kitchen. 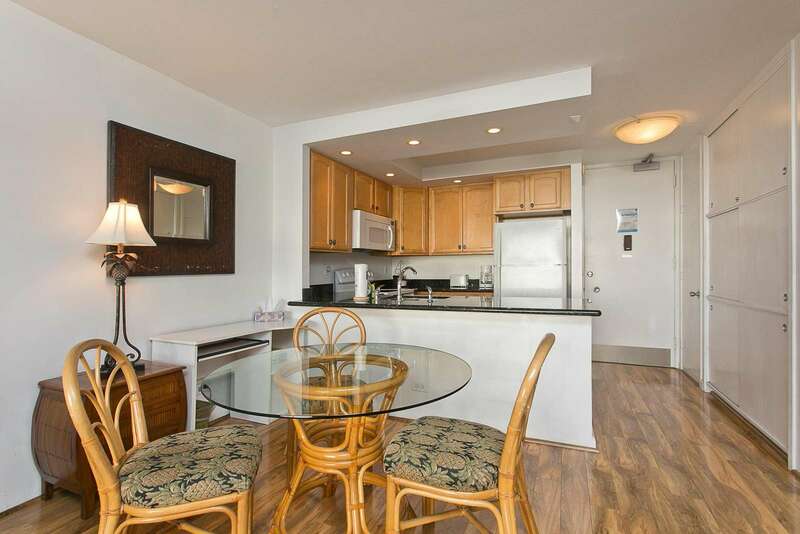 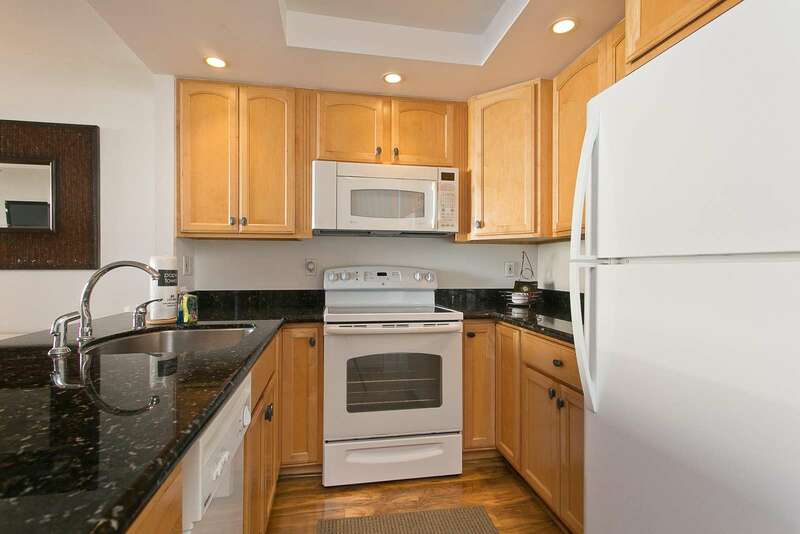 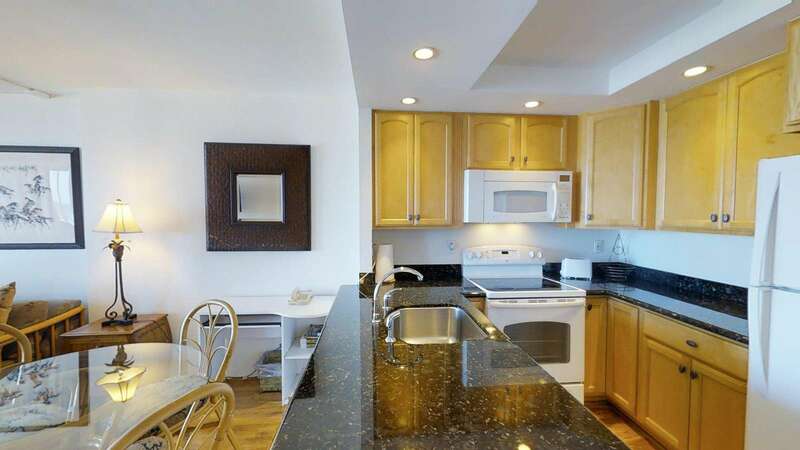 All cookware, dishware, and utensils are provided to make dining in the condo simple and easy. 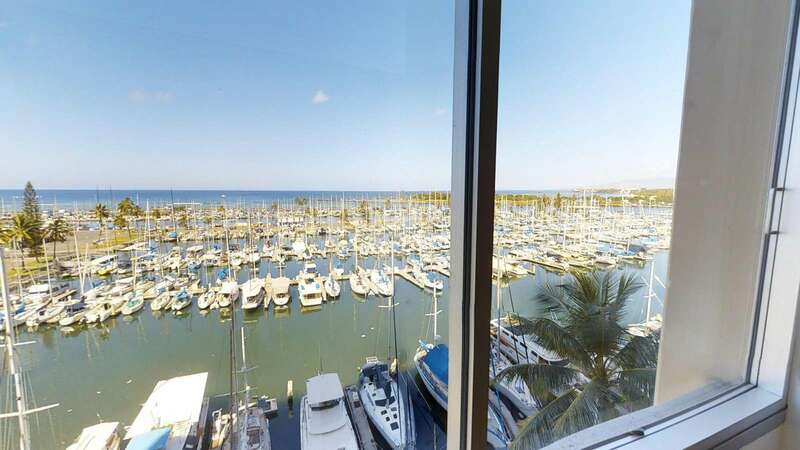 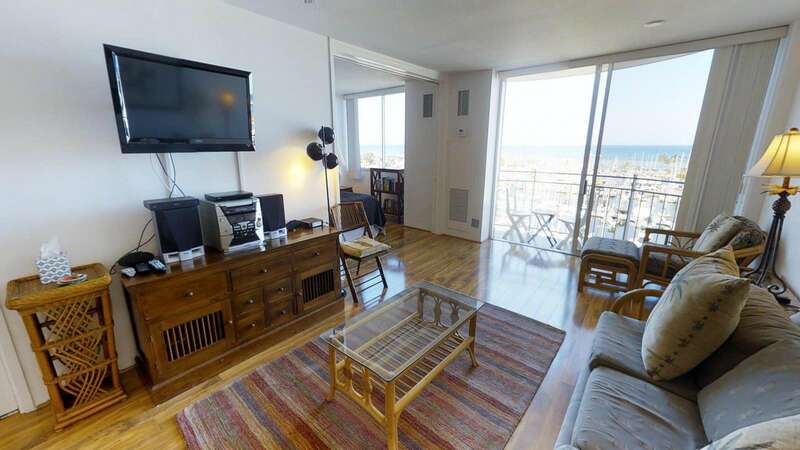 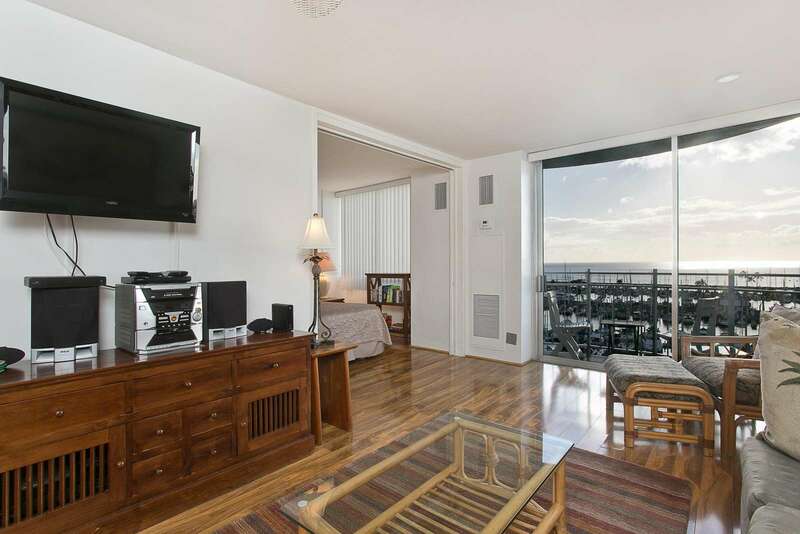 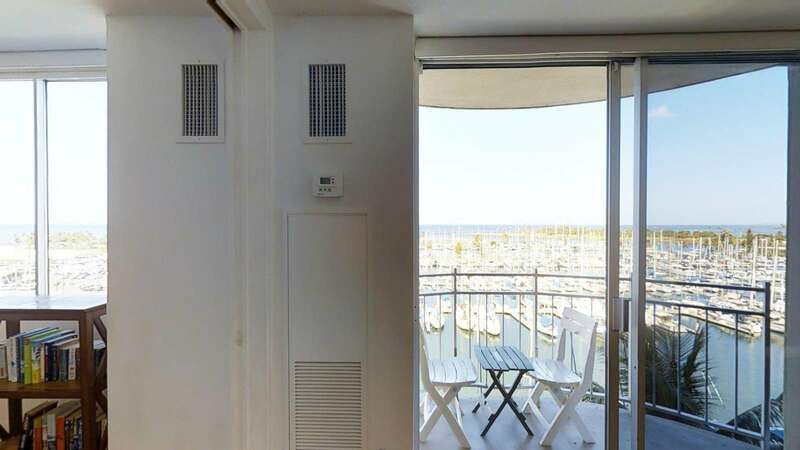 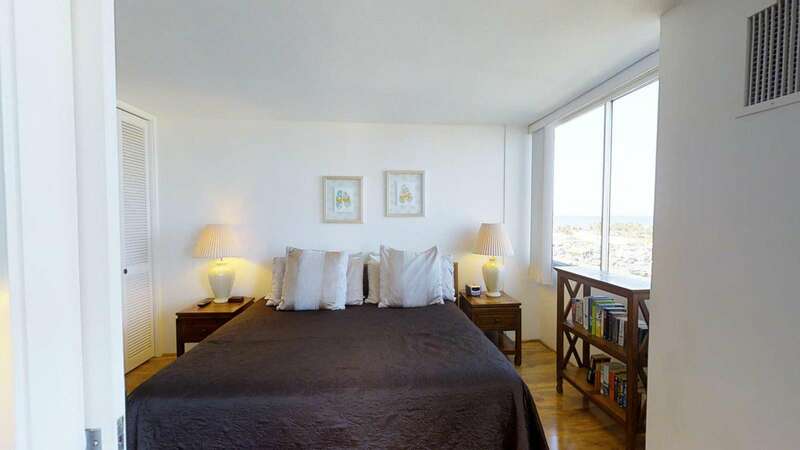 As you first enter the unit your eyes are instantly drawn out through the large picture window overlooking the marina and beyond to the deep blue ocean. 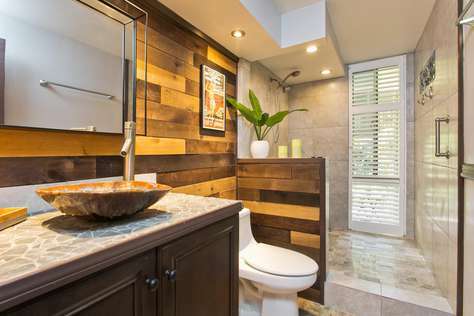 The new tropical hardwood floors add warm tones to the casual island setting. 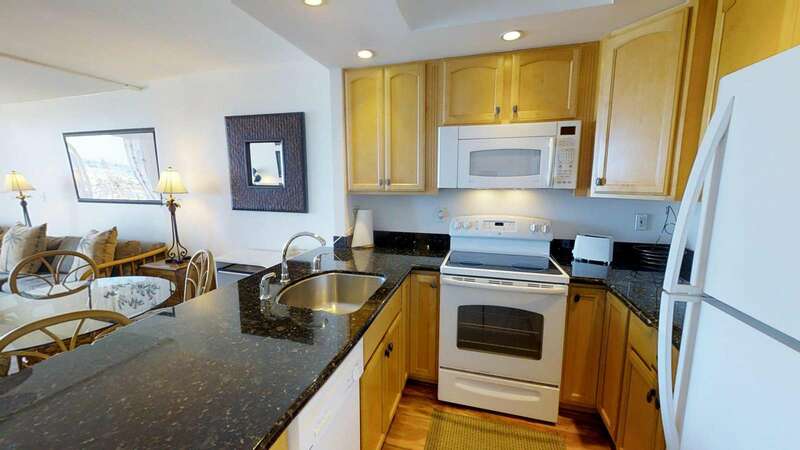 Beautiful granite countertops and full-kitchen with full sized appliances lend to the experience of being in your very own piece of paradise. 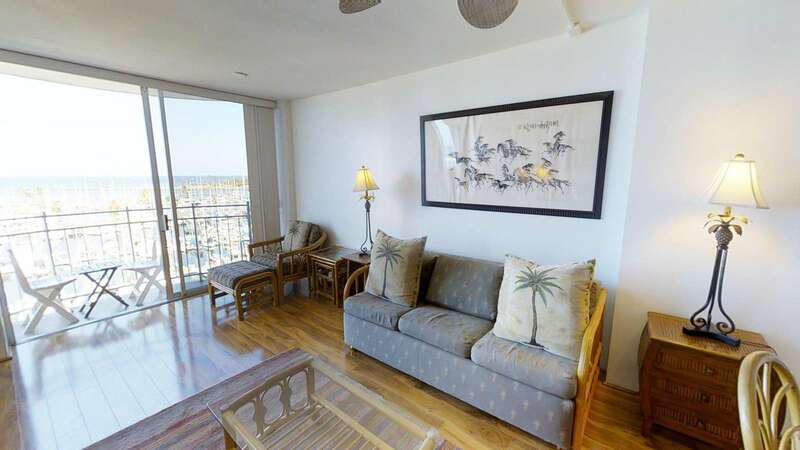 Relax on the lounge overlooking the marina with a book or cup of tea. 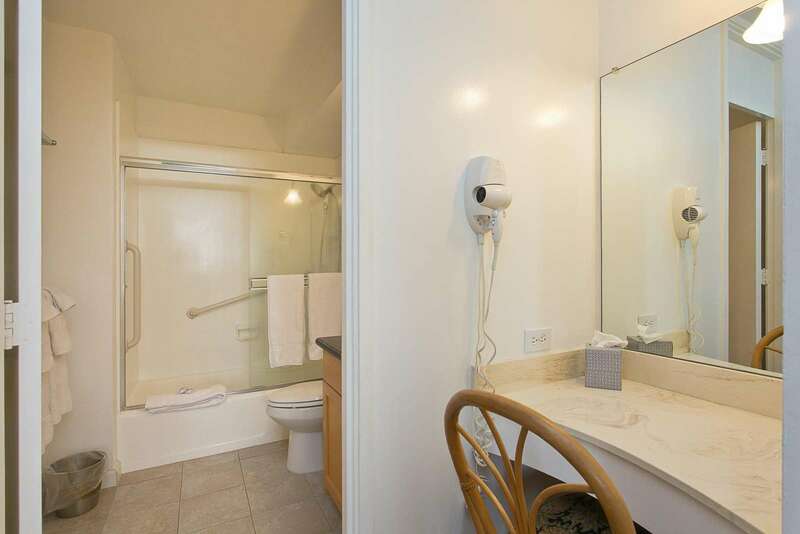 Sit and watch as day magically turns to night. 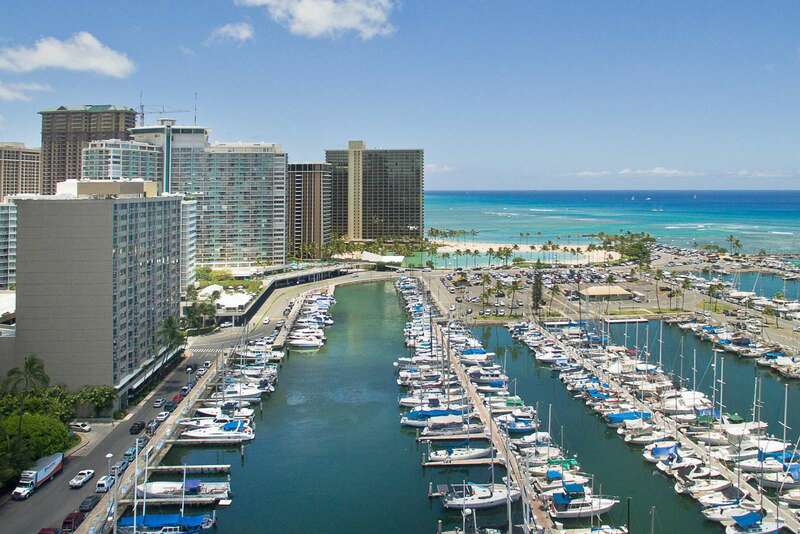 The Ilikai Marina is centrally located between 2 of the islands largest shopping, dinning, and entertainment districts Waikiki city center and Ala Moana. 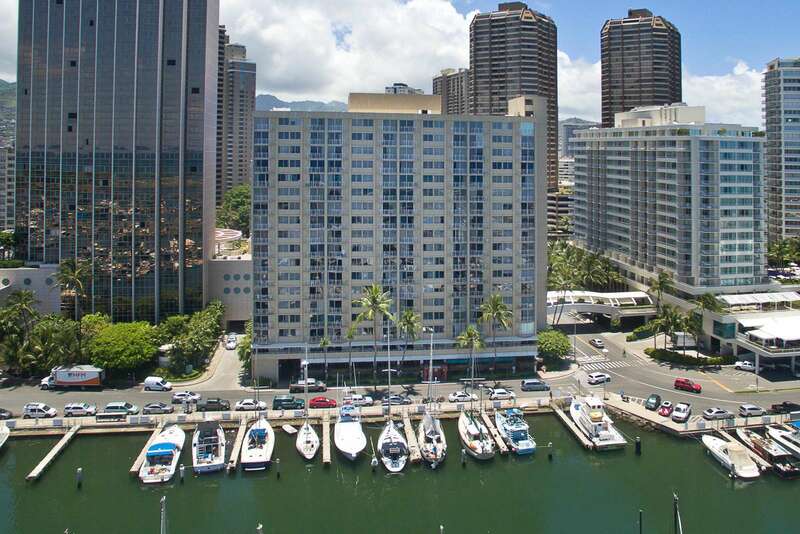 You have several dining options in the building as well with Chart House, Outback Steakhouse, and Red Lobster on the ground floor. 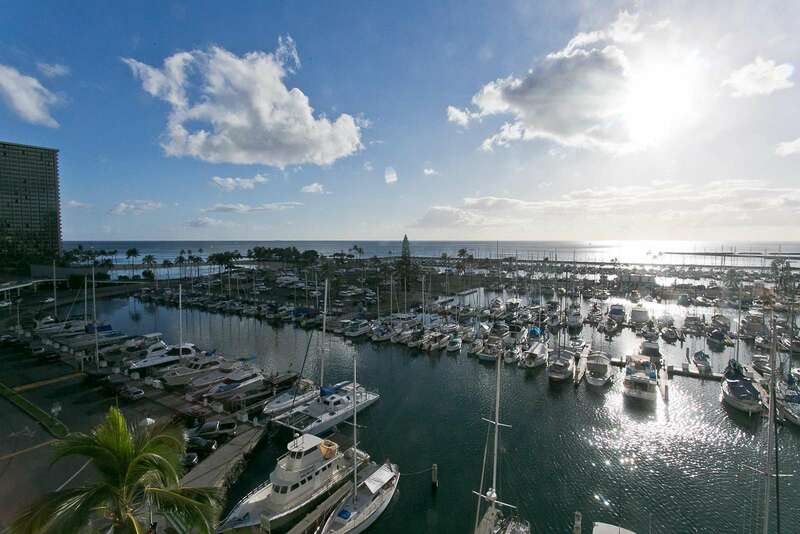 The Chart House is a local favorite with one of the island's best happy hours. 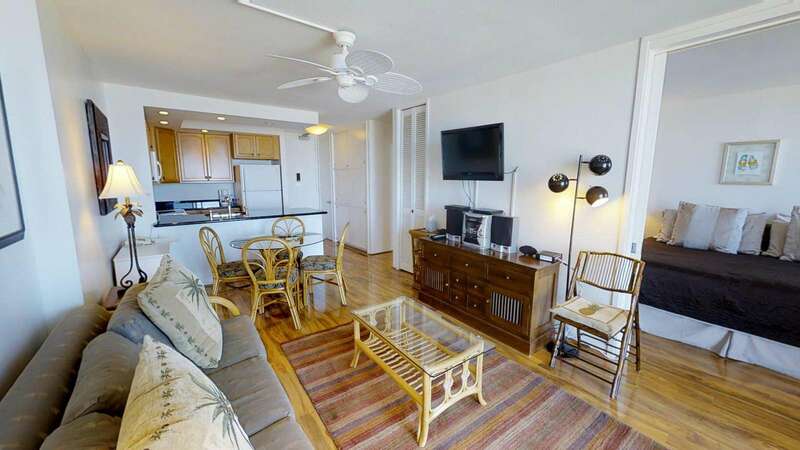 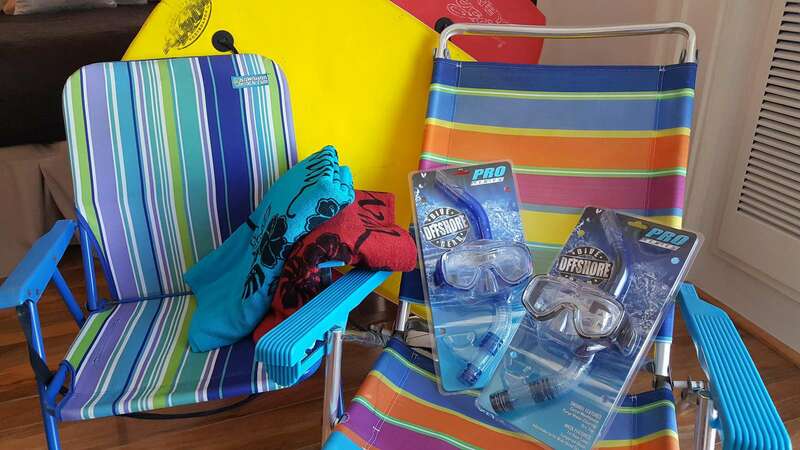 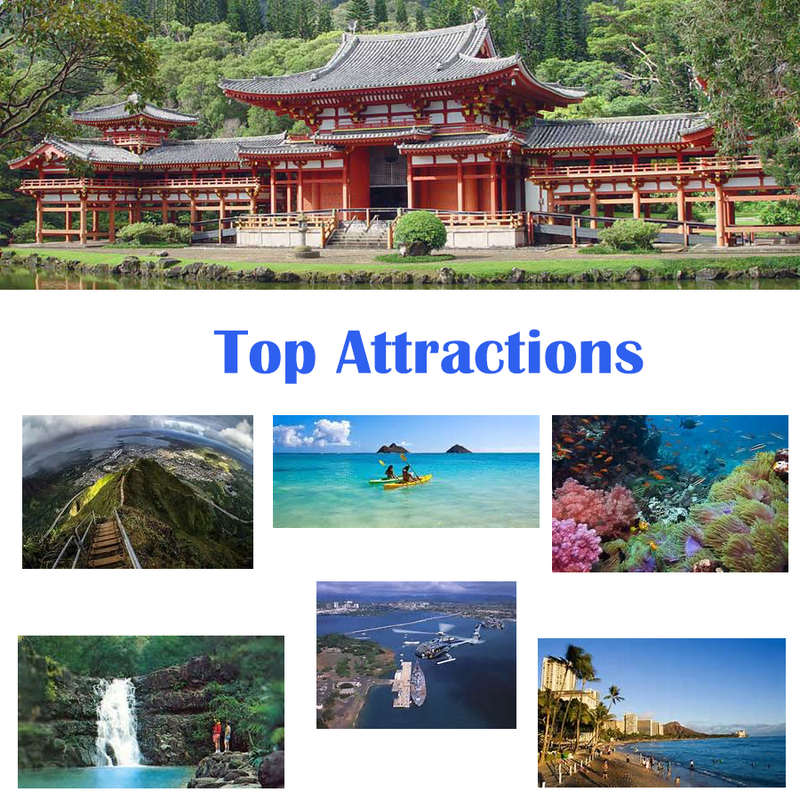 The cool calm refreshing waters of Duke Kahanamoku Lagoon or open ocean beach are just steps away. 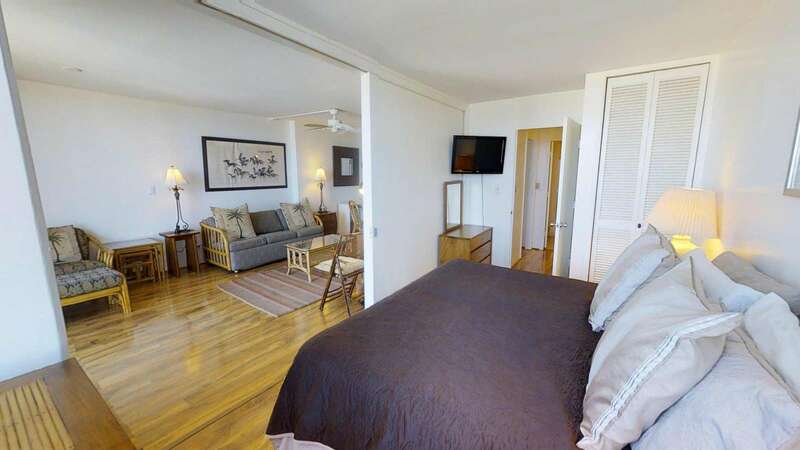 We're always on hand throughout your stay and just a simple phone call away - All our guest are met by our guest host and introduced to the suite and its many features. 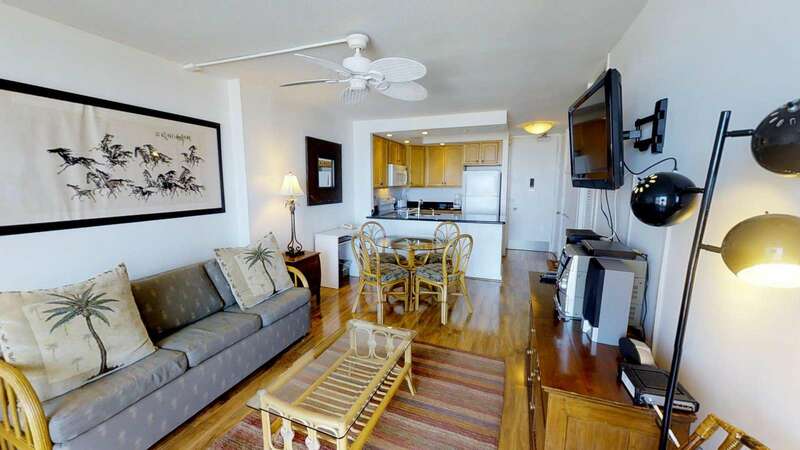 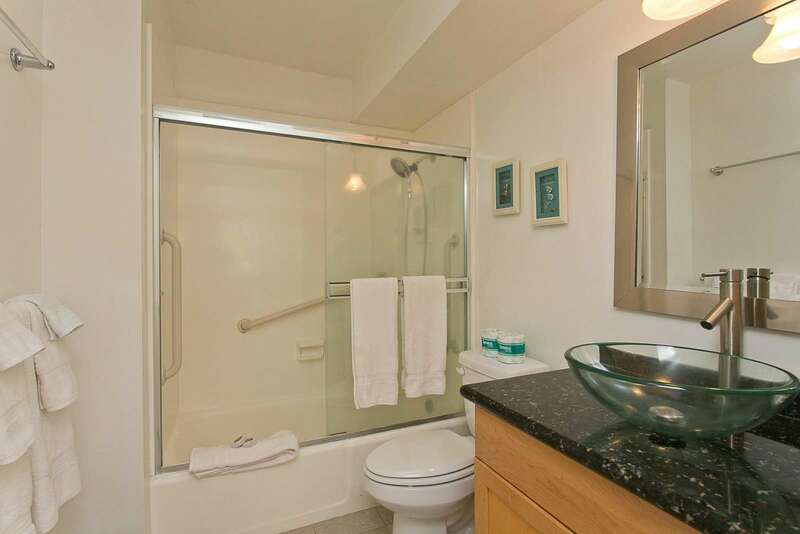 You are then left to relax and enjoy our home and the beautiful surrounding neighborhood and Marina itself.